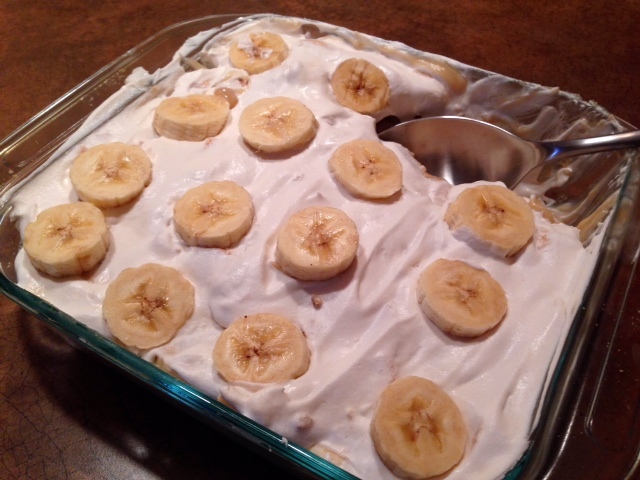 Low-Fat Banana Pudding With Whipped Topping, Vanilla Wafers & Bananas. 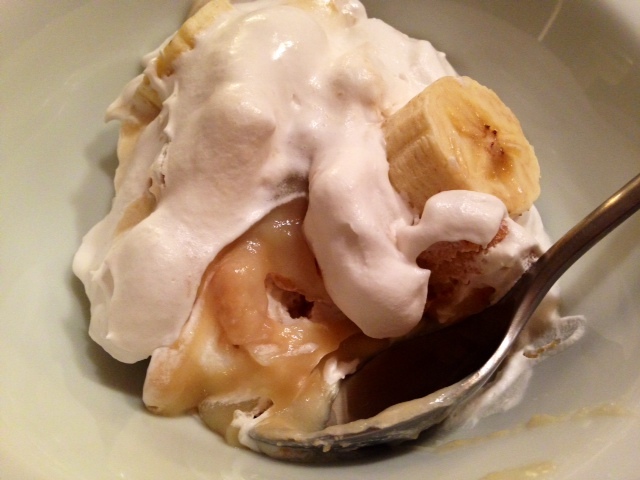 Banana pudding is a classic southern dessert that is oh so delish. I had it for dessert at a BBQ restaurant here recently and loved it, so I wanted to make it at home with healthier, lower-fat ingredients. This recipe is made with all natural ingredients opposed to ingredients with artificial colors or chemicals. I had to splurge a bit on the cost of ingredients by buying them at Whole Foods, but the dessert is much better because of it so it was well worth it. 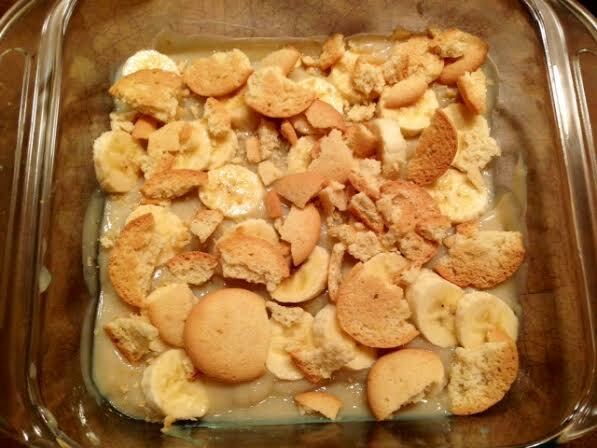 This banana pudding is my new all-time favorite dessert – it’s creamy, crunchy and best of all, reduced-guilt! Begin by making the pudding. In a large pot, mix the dry pudding mix with 4 cups of skim milk and 1 whisked egg yolk. Use a whisk to stir the mixture continuously while heating the liquid on medium heat. Bring it to a boil, allowing it to boil for about one minute, and then remove the mixture from the heat. Pour the mixture into a large mixing bowl and allow it to cool to room temperature. Once at room temperature, put it in the refrigerator to cool for about one hour. 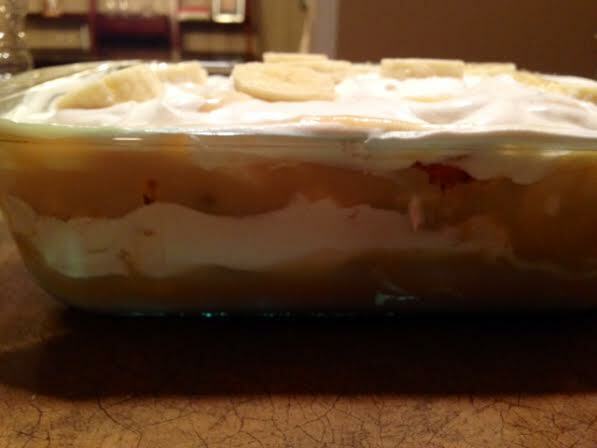 In a deep dish or bowl, begin to layer your pudding. 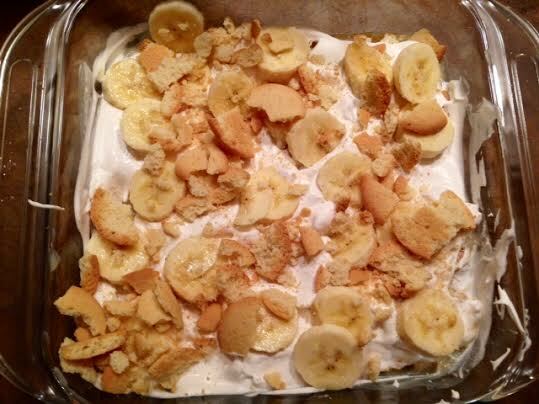 Put a layer of banana pudding at the bottom, then put sliced bananas and crumbled vanilla wafers on top. 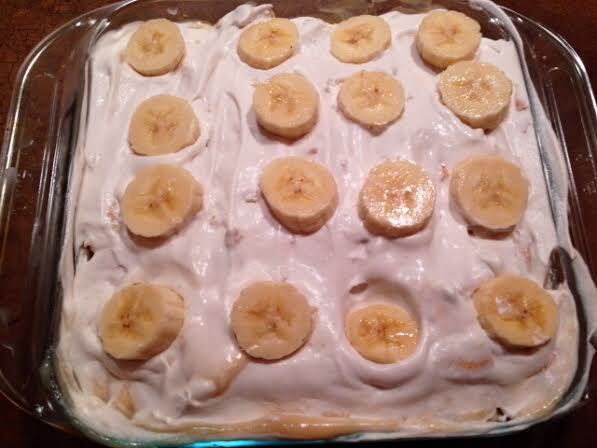 Then put a layer of the whipped topping, putting with bananas and vanilla wafers on top of that. Continue until you reach the top of the dish or run out of ingredients.